Recently, there has been a lot of shouting surrounding Confederate monuments. One side claims that they represent monuments to slavery and racism and need to be removed. The other claims that they are about remembering history and the heritage of the south. 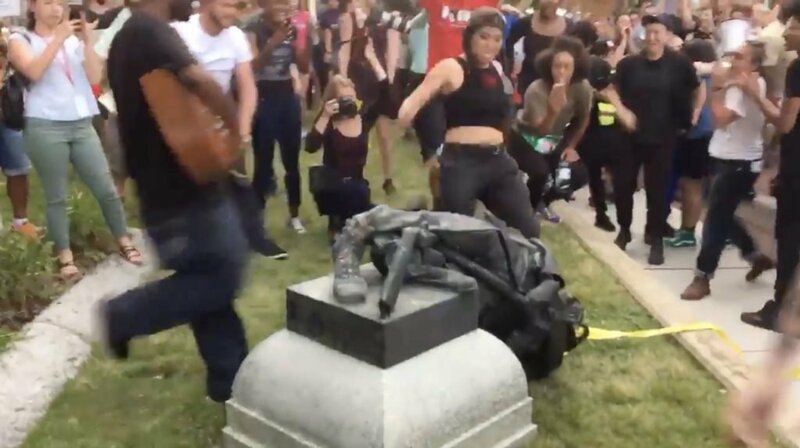 Things have gotten so tense that there was a brawl in Charlottesville, VA, and in Durham, NC, a statue was destroyed by protesters. Benny Johnson at Independent Journal Review explains why such behavior sets a dangerous precedent for the country and why there will be no monuments left if we continue down this road. Johnson asserts that there is not one monument in America that every single person in this country can agree on and he’s right. If you look at our society, there are at least two sides of every argument, no matter how vile, cruel, disgusting and morally reprehensible some opinions may be. For every monument, for every statue, for every memorial, there is at least one person in the United States who would argue against its validity. He lists several memorials that could also be argued should come down for one reason or another. This includes the Washington Monument (Washington owned 317 slaves at the time of his death,) Mount Rushmore (the land it’s on is sacred to many Native American tribes and “stolen” from them,) the Lincoln Monument (Lincoln authorized a war that killed 620,000 American soldiers,) the Jefferson Memorial (Jefferson not only owned slaves, but slept with Sally Hemings, his mistress) and many others. If you want the full list and the reasons some people would oppose them, click here. We get it, the Confederates lost, the south will never rise again and their dreams of secession were squashed by the northerners. History knows that. That doesn’t mean the statues should come down, because once we start down this road, it’s hard to turn back.